More and more travelers are beginning to understand the need to book their travel far in advance. At first, this might feel like a huge commitment, and we completely understand. For experienced travelers accustomed to booking local tours, and ensuring hotel “deals” by booking last minute, planning far ahead is a change in mindset. Why do it? Why book a trip today that you won’t even enjoy a year from now? Here are some great reasons. The world’s best hotels are not a secret. The internet has changed the game, and websites like TripAdvisor can rank hotels in a city by price, popularity, reviews, and so on. Hundreds of millions of international travelers use the same tools to find the same hotels. Our role as Travel Specialists is to stay on the cutting edge, finding the new hotel, the renovated hotel, the best value hotel, and booking it for you. Since we're competing with every other traveler in the world, the best way to guarantee that you lock down the hotel that YOU want is to book in advance. The same can be said for tour guides. There are a finite number of good guides in each of our destinations, and an even more finite number of excellent guides. These guides can make the difference between a good trip, and a life changing cultural adventure. Our job is to maintain personal relationships with these guides, and we're proud to call many of them our friends. 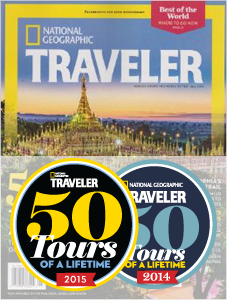 Again, many times, those local guides are not kept a secret, and other travel companies compete for use of the world’s best guides. We ensure our travelers enjoy the best experience by keeping them on our speed dial. As a general rule, the least relaxed travelers are those who plan their trip at the very last minute. When booking even a month in advance, travelers find their first, second and third choice hotels are all booked up for their travel dates. Travel planning turns into a mad dash to pay last minute (more expensive) booking rates for a hotel they might not have even wanted in the first place. Planning your next great adventure should be, above all, fun! Planning ahead allows for a more relaxed experience, free from the pressure of hotel wait lists, and hiked airfare costs. Booking with Global Basecamps means you can pay your initial deposit on your trip way in advance. Having done this, you can rest easy knowing your perfect trip is guaranteed, and payments can be made on your schedule up until the final payment three months prior to your departure! Imagine you’ve been dreaming of Japan tours for years. Ever a dream, it finally becomes reality as you book your trip through Global Basecamps eight months in advance. Now, you have eight whole months to get excited for your trip! You’re going on an adventure! You have time to learn some of the language, read a book about your destination, research what you can do on your free days, and all the other fun that comes with anticipation. Can preparing for your trip be as much fun as actually going on the trip? We hope so! Ready to start planning? Contact us!